First of all, I am deeply sorry for the (extremely bad) quality of the picture. I don’t know why, but my camera kept putting everything in yellow. It won’t happen next time. For this composition I was mostly inspired by the Legend of Korra, more precisely the Lion turtle (shout-out to every fans of the series). 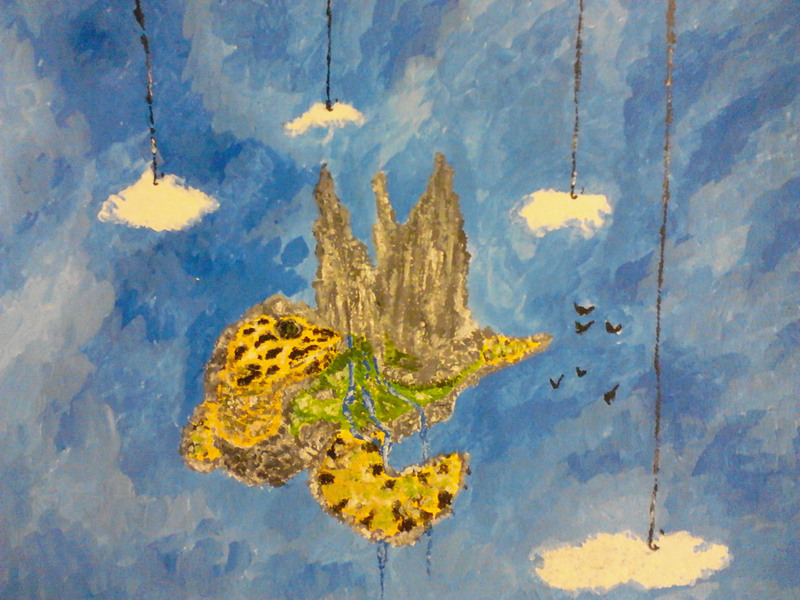 So I end up painting a giant turtle, floating among fake clouds, held by a hook.